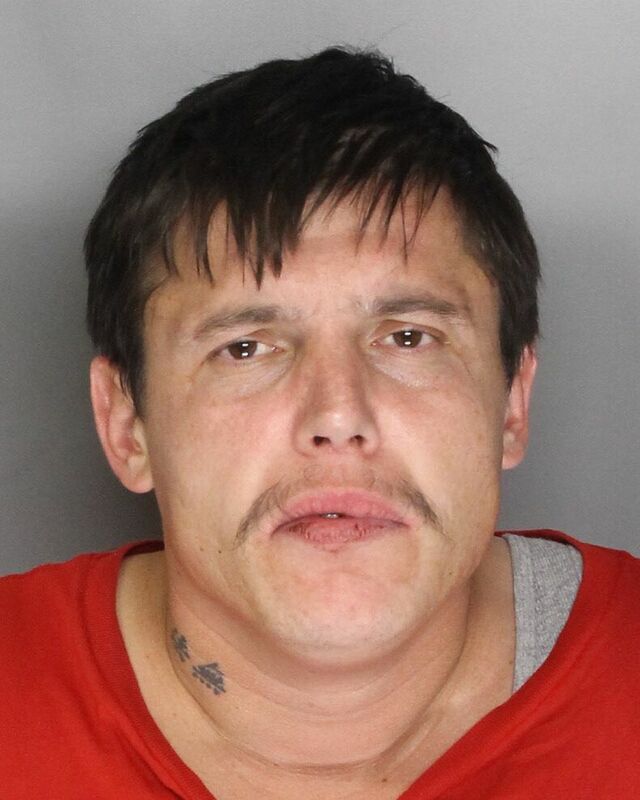 An Elk Grove man is being held at the Sacramento County Jail after he allegedly tried assaulting police officer with a knife. On the early evening of January 4, Elk Grove Police responded to a disturbance on the 9300 block of Elk Grove-Florin Road. The reporting person advise that Edward Ramirez (pictured above), 31, was acting paranoid and would be combative. When officers arrived, the reporting person advised that Ramirez was inside the the residence and there was a knife nearby. When officers opened an unlocked door to the residence and announced their presence, Ramirez allegedly ran towards the officers with a knife in his right hand. After Ramirez failed to comply with instructions and continued to approach the officers, and based on his actions, an officer fired one less lethal bean bag round at S-1 which caused him ti drop the knife. Ramirez was taken into custday and after being cleared cleared for incarceration at a local area he was booked into the county Jail. The suspect is being held on $120,000 bail for attempted assault on a police officers and is scheduled for arraignment on Friday, January 6.